Contrary to the expectations of most part of Ukraine’s political elite, who were openly betting on a victory in the U.S. presidential race of Hillary Clinton, the Americans preferred Donald Trump as the 45th president of the United States. UNIAN figured out what Ukraine should expect from the eccentric billionaire once he takes office. The home stretch of the U.S. presidential campaign was one of the hottest topics in Ukraine. Long before the polling stations were opened, many Ukrainians favored the Democratic nominee. Following first polls, many believed that Hillary Clinton had a victory in her purse. Then, for some time, the candidates went neck and neck until Trump stole the lead toward the end, delivering a result, surprising for many but yet so real. The victory of an eccentric billionaire Republican, contrary to the course of nasty debates where he looked miserable and despite bookmakers betting on the Democratic nominee, and a variety of opinion polls, who prophesied a female president, was a real surprise. In fact, it was a storm-out-of-nowhere shock. But the unexpected results at the end of the race simply evidences the fact that the American society was forced to choose the "best of the worst", experts say. That’s what actually happened. Political analyst on international affairs Maksym Yali is convinced that the outcome of the elections was due to the peculiarities of turnout. The thing is that Hillary Clinton’s team counted on support of Hispanic and African-American voters. However, except for their significant support of Barack Obama back when he was elected, these categories of voters have never shown high turnout. That is in contrast to the “white” supporters of the Republican Party. In addition, in his opinion, Clinton’s EmailGate which started in March 2015 was a huge blow for the campaign of the former first lady and then Secretary of State (2009-2013). 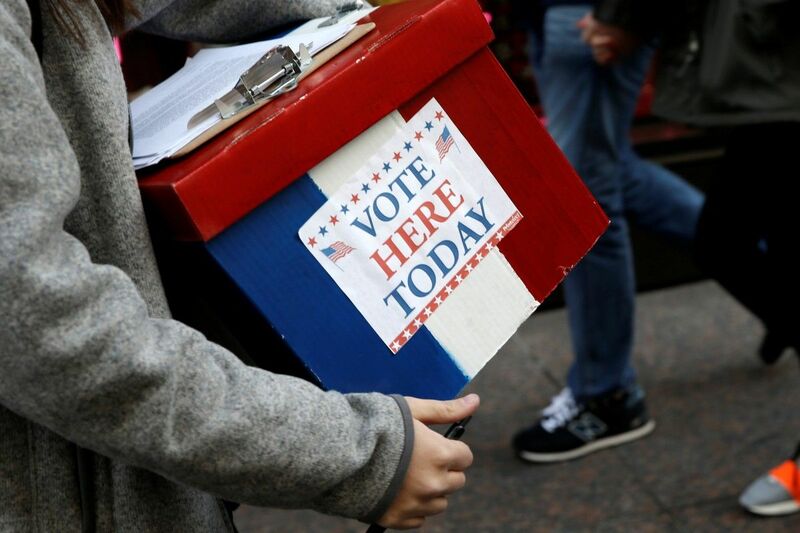 "I believe that this scandal has affected Americans who voted before the election date (this year saw a record number of ballots cast prior to the actual polling day) defied Clinton," says the analyst. 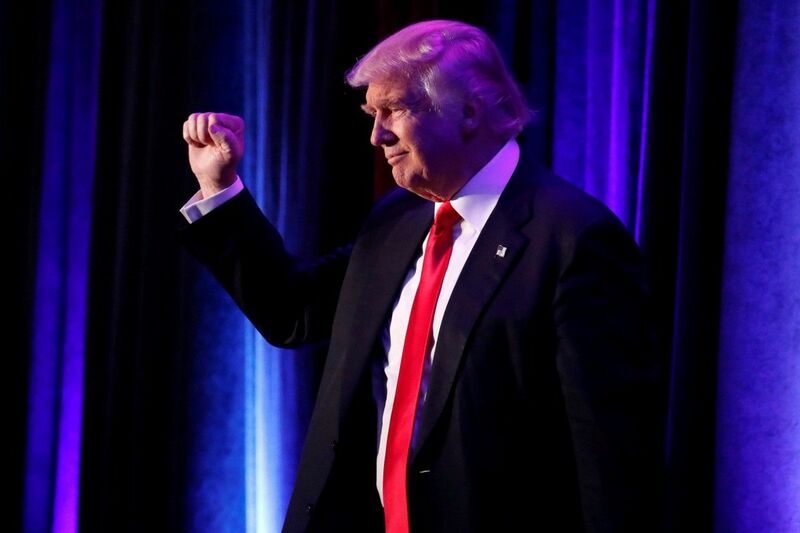 In turn, director of the Research Center for Civil Society Vitaliy Kulyk believes Trump’s victorious campaign is in fact a recognition of ineffectiveness of the current governance model in the U.S. and the ordinary Americans’ challenge to the U.S. government. "This is a slap by the small town American voter in the face of the state system and all the bureaucrats," said Kulyk. Anyway, the American citizens have made their choice. In early January 2017, the Congress will approve the voting results, and later the same month, the 45th U.S. president will take office. According to the political expert, Olesya Yahno-Belkovska, Hillary Clinton’s policy, had she been elected, would be "more understandable and predictable in some areas, including for Ukraine." However, in a matter of relations between Ukraine and the United States under President Donald Trump, some clear positions can be named "in the context of the Republican Party. "Mainly, Ukraine is concerned with the three components of this relationship. First, what will be the U.S. support to Ukraine in its hybrid war with Russia. Secondly, how harsh will be the position of the new president and his administration with respect to anti-Russian sanctions. And thirdly, what will happen to the international loans and investment aimed at revitalizing our economy. Another important factor of this "agenda" for Ukraine was the fact that the issue of U.S-Russia relations remained key throughout the whole presidential race. The Democratic candidate accused opponents in excessive sympathy to the Russian leader and criticized Vladimir Putin. In turn, the Republican nominee talked about possible improvement of the U.S.-Russian relations. Not surprisingly, some members of the Russian State Duma reacted positively to the news of Trump’s victory, greeting it with applause. State Duma Speaker Vyacheslav Volodin said that the Russian parliament would "welcome and support" a constructive dialogue between Russia and the United States, while MP Sergei Zheleznyak hoped that Trump would remain "faithful to his pre-election rhetoric" and the United States would shift away from "rabid anti-Russian hysteria". Odious LDPR leader Vladimir Zhirinovsky in his usual clownish manner arranged an impromptu banquet on the occasion and drank to the "new internal and foreign policies of the U.S. and the improvement of relations with Russia." Presidential adviser Sergei Glazyev stated quite boldly that Trump, "as a pragmatic person, will cancel the anti-Russian sanctions that also do harm to the American business". However, some of their colleagues were more careful in their assessment of the situation. For example, Head of the State Duma Committee on International Affairs Leonid Slutsky said he was not sure of Donald Trump's sincerity when he expressed his sympathies for Russia, since he knows “many examples when the winning candidate changed his campaign rhetoric along the destructive line in relation to Russia." Vladimir Putin’s reaction to the outcome of the presidential election across the ocean was pretty reserved. He sent a telegram to Donald Trump, expressing hope "for joint work to steer Russian-US relations out of the critical condition and also to address crucial issues on the international agenda and identify effective responses to challenges to global security." Putins’ spox Dmitry Peskov said the Kremlin did not expect from Trump’s administration any “overnight” solutions of all disputes between the U.S. and Russia. "Prior to improving the relations, they must first be taken off the "shelf" where they are now. Obviously, they degraded considerably in recent years, and it’s not our fault they did so. President [Putin] has said repeatedly that Russia seeks good relations with the United States. We have many areas for cooperation and we are looking for this cooperation. At the same time, of course, unfortunately, we do not always feel reciprocity on the part of the United States. We want a mutually beneficial relationship, and this is the point," Peskov said. The Kremlin’s careful approach can be easily explained – it is not yet clear who will hold key posts in Donald Trump's Administration, who will become his entourage, or who will lead the State Department. So there is no reason to talk about the U.S. president's strategic will to restart the U.S.-Russia relations. Kulyk predicts two possible scenarios. "If Trump manages to find a compromise with his own party, the majority in Congress and the Senate, there may follow an even tougher rhetoric concerning Russia and the preservation of the sanctions regime. If there is a conflict between the Republican Party and the President, it can lead to a non-systemic foreign policy of the U.S.," said the analyst. Ex-deputy of the State Duma, the Russian opposition’s Ilya Ponomarev does not deny the likelihood of upcoming attempts to improve Moscow-Washington relations, although he notes that the results will be a disappointment for both sides: "Almost certainly, it [the attempt] won’t just end up with nothing – as a result, the relations will be much worse than we see them now." 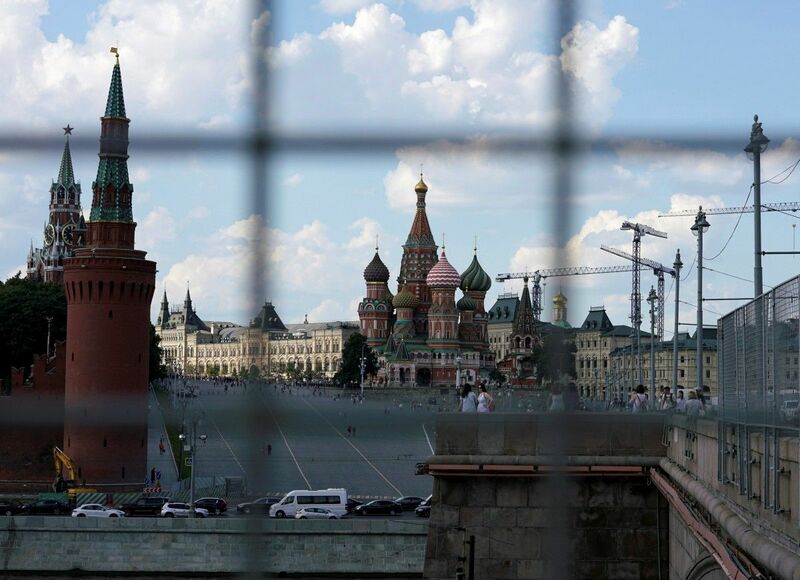 Moreover, the stumbling block in Russian-American dialogue will be Syria, not Ukraine. However, according to Maksym Yali, if the U.S. and Russia fail to agree on Syria, or Trump does not like something else, he may as well deliver a “response” to Putin, using Ukraine for this purpose. "Trump is a rather eccentric person. If there is something he does not like, he is capable of decisive and not really appropriate action, in the political sense. He may provide us with lethal aid, as a response to Putin," the expert suggests. With regard to the Washington-Kyiv relationship, of course, the U.S. remains a strategic partner of Ukraine, U.S. 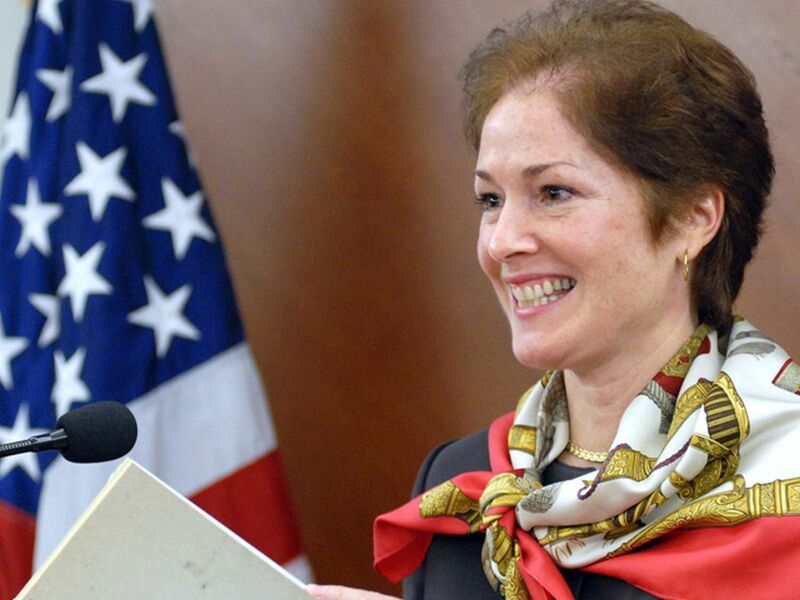 Ambassador to Ukraine Marie Yovanovitch has already assured Kyiv. "The U.S. policy toward Ukraine has been unchanged for 25 years, because there is a consensus concerning the support of Ukraine," Yovanovitch said. In addition, Marie Yovanovitch expressed confidence that sanctions against Russia would remain in place and the new U.S. Administration would continue to be Ukraine’s reliable partner in its fight for democracy. Of course, high expectations of the Ukrainian political elite and their bet on the unconditional victory of Hillary Clinton has become a major miscalculation, however, there are no reasons to question the statements of the U.S. Ambassador to Ukraine. Despite personal attitudes of individual politicians in Ukraine in relation to the American people’s man of choice, the Ukrainian State expressed readiness to cooperate with the U.S. President-Elect Donald Trump, while President of Ukraine Petro Poroshenko congratulated him on his victory in the elections, calling this a symbol of real democracy. At the same time, we must not forget that Ukraine has never been a No.1 priority for Trump. And it is unlikely that the Ukraine issue will jump to his top agenda soon. "Ukraine fatigue is obvious. And Trump just illustrates it. He’s no Obama," Vitaliy Kulyk said. Maksym Yali shares this opinion: "If Barack Obama was trying to put pressure on his European partners to make them take a tougher stance against Russia, now we might lose this kind of support. Trump may leave the resolution of the conflict an EU prerogative, in particular, of Germany and France. "Indeed, some rather clear statements sounded from the Trump campaign headquarters about The Donald’s vision of Ukraine settlement. For example, Trump's foreign policy adviser Waleed Phares said that the role that the United States had been playing in the Donbas peace process, should be taken over by Germany. On the other hand, this summer, Trump voiced his most resonant statement on the Ukrainian issue and it sounded that he pledges support for Ukraine. In particular, he said in an interview on ABC "He's not going into Ukraine, OK, just so you understand. He's not going to go into Ukraine, all right? You can mark it down. You can put it down. You can take it anywhere you want,”. But, again, we shouldn’t rule out that Trump’s campaign rhetoric may very much differ from that once he swears in. The election race is over and so is the battle for the attention of the electorate. However, the president of such a powerful country as the United States can’t act as an autocrat due to the long-introduced system of checks and balances. In his domestic and foreign policies he will also need to rely on Congress, with the Republican majority. As the Ukrainian political analysts note, some of these Republican congressmen had actually advocated lethal aid for Ukraine all way through. These congressmen were out there to help the Democrats secure direct financial assistance to Ukraine and billions of dollars in loan guarantees. They are also the ones who reiterate support of Ukraine’s desire for rapprochement with NATO.